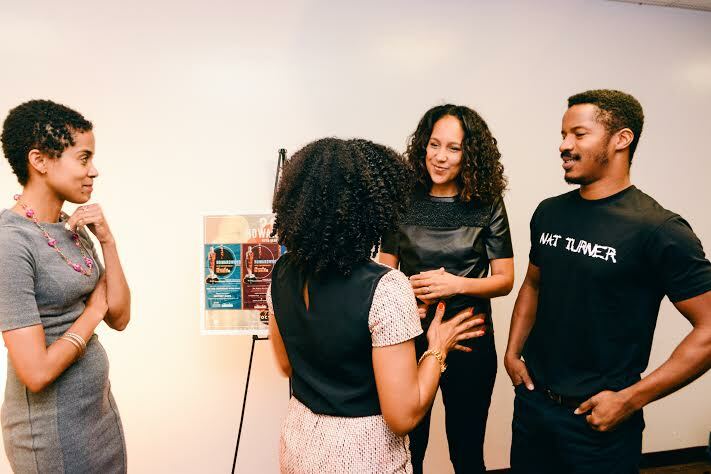 Writer-director Gina Prince-Bythewood and actor Nate Parker chat with “Howardwood” co-founders Adia May, far left, next to her sister, Asha. 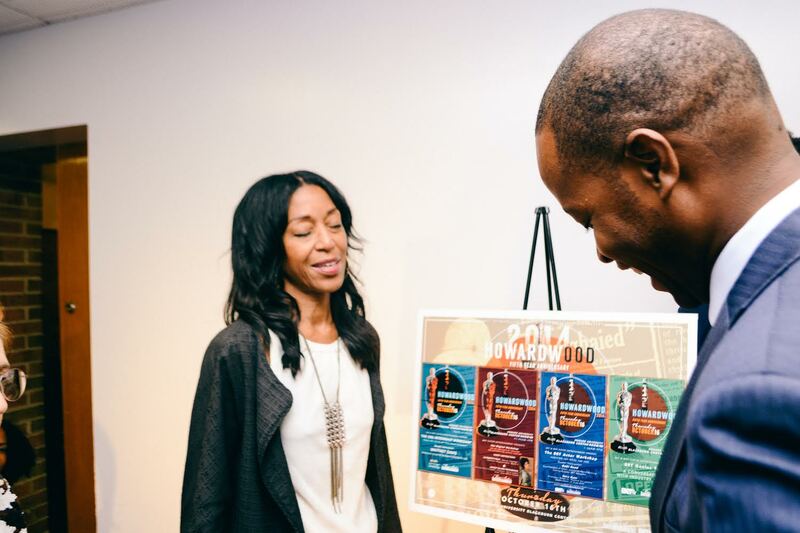 Prince-Bythewood was one of several professionals who gave eager students an inside look at Hollywood at the fifth annual “Howardwood” on Thursday in the Blackburn Center at Howard University. 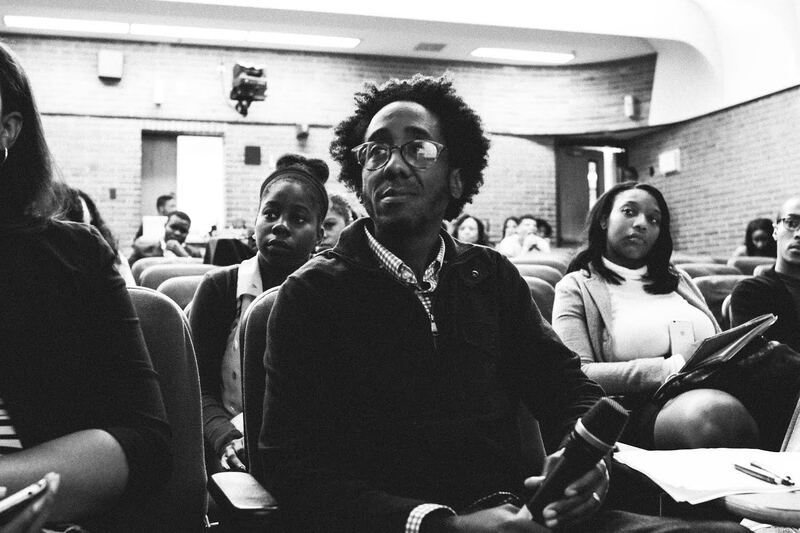 The event links students to careers in entertainment through workshops and discussions with industry veterans. “This year we’re really just trying to connect everyone,” said Jeremy Clayton, the 2014 coordinator and a senior majoring in public relations at Howard. Clayton and the May Sister Entertainment, run by two Howard graduates, organized the BET Actor Workshop and the CBS Internship Workshop. “What Asha and Adia May, the founders of Howardwood, wanted to do was give back and make that bridge from Howard to Hollywood,” Clayton said. Howard University President Wayne A.I. Frederick greets Robi Reed, a BET vice president who has worked on more than 50 films and TV programs during her career as a casting director. A-list professionals in attendance ranged from Robi Reed, a BET vice president who has worked on more than 50 films and TV programs during her career as a casting director and producer, to Whitney Davis, manager of entertainment diversity at CBS. Prince-Bythewood participated in the final segment, “Genius Talk,” an intimate discussion with actor Nate Parker. The two will be releasing a movie on Nov. 14 called “Beyond the Lights” starring Parker, Gugu Mbatha-Raw and Minnie Driver. Students gain an inside look at Hollywood. Parker made it clear that the entertainment field is not just about getting hired, though. It’s about being prepared. Parker detailed his work ethic in preparation for “The Great Debaters.” Leading up to his audition, he knew every character’s lines and even wrote a 100-page back story for his character, Henry Lowe. Parker is currently working on a project about the life of Nat Turner. The film is in commemoration of Turner’s legacy and the 150th anniversary of the 13th amendment. Robyn Hutson writes about TV and film for 101 Magazine.net.